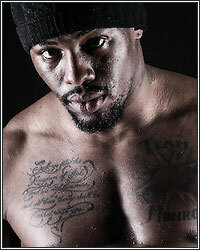 WILLIE MONROE JR. WARNS JERMALL CHARLO: "I'M READY TO COME FLYING OUT OF THE GATE ON DECEMBER 22"
Middleweight contender and former title challenger Willie Monroe Jr. discussed his upcoming contest against WBC Interim Middleweight Champion Jermall Charlo as he prepares to enter the ring in Premier Boxing Champions action Saturday, December 22 live on FOX and FOX Deportes from Barclays Center, the home of BROOKLYN BOXING™. With fight night approaching, Monroe is hard at work in his hometown of Rochester, New York. Along with his coach Timothy Nolan, Monroe believes he is on track to deliver a great performance against an unbeaten opponent. "Everything in camp right now is on point and moving forward," said Monroe. "We're getting the work we need each day. We know how to run a camp smoothly. If I can't tell anything is wrong, then it's going great." A veteran of two middleweight world title contests against Gennady Golovkin and Billy Joe Saunders, Monroe has had his eye on a Charlo matchup to once again prove himself against an elite middleweight. "I've always watched Jermall's fights because I have an eye on anyone around my weight class," said Monroe. "Over the last year or so I've started to think I'm really going to get this fight and I'm excited about it coming to fruition on December 22. "He's considered one of the top middleweights and it makes this a great match. This time I'm going to have a full training camp like I didn't get to have for Golovkin and Saunders and it's going to help me." While he doesn't possess the prodigious knockout power of his opponent, Monroe is more than confident that his other ring attributes will make up for that difference. "We're both at the top of the division and you don't get this far without having a lot of physical ability," said Monroe. "This fight isn't about who's the fastest and strongest though, it's about how we're going to execute. I'm not focused on who hits harder but who hits smarter. That's always going to determine who wins a boxing match. "Boxing is about intelligence first and everything follows after that. Will I be able to execute and make Jermall uncomfortable? We'll see what happens on fight night. I'm going to be ready though. I'm in my stable now and I'm ready to come flying out of the gate on December 22." Charlo was serving as color commentator for Monroe's August fight on FS1 and since then the two have gone face-to-face at two separate press events leading up to fight night. With fight week looming, Monroe believes the frequent face time will make an even more exciting fight. "I'm definitely more eager to fight from seeing Jermall over and over again," said Monroe. "The little things that you pick up in person tend to make you want to fight even more. You see the opponent and you build it up more in your head and use it for motivation. I think it's going to make it even more entertaining when we finally get in there." Televised coverage begins at 8 p.m. ET/5 p.m. PT and features Jermell Charlo defending his WBC super welterweight world title against Tony Harrison, in addition to the Charlo vs. Monroe showdown. Televised action also features a heavyweight showdown between Dominic Breazeale and Carlos Negron.